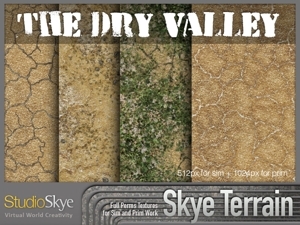 This set is design for parched, arid scenes. 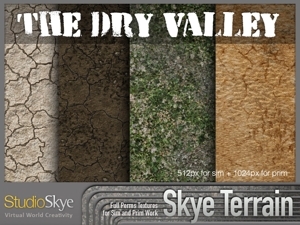 A layer of vegetation makes it suitable to blend into a more lush environment. 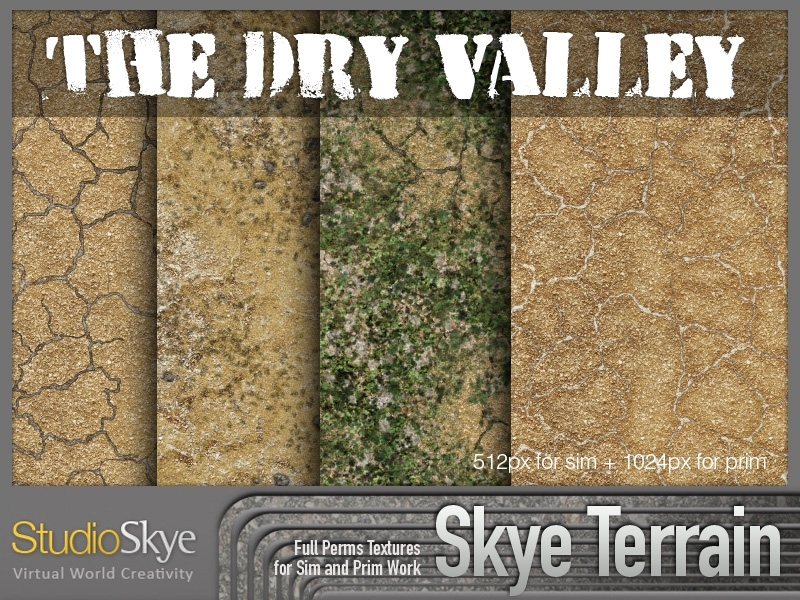 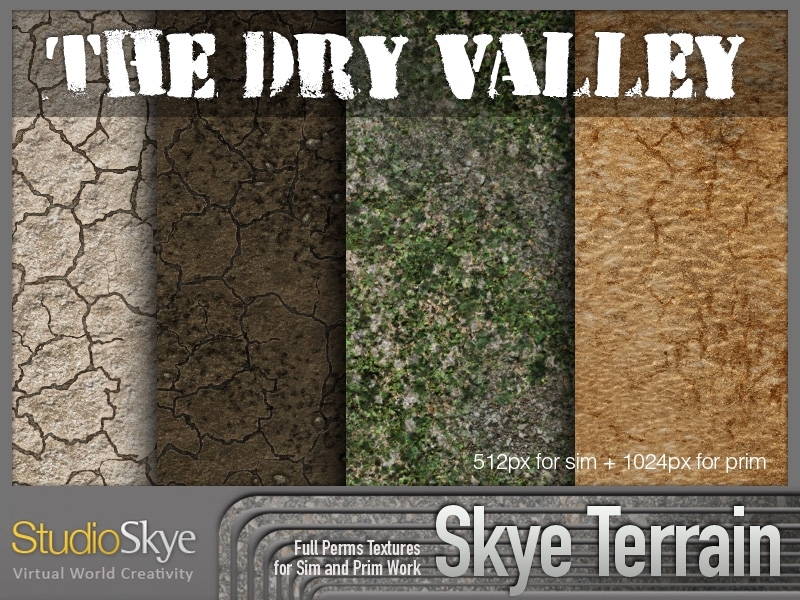 Several cracked mud bases are overlaid with wind blown sand, gravel and stone to give a great variety on the theme. 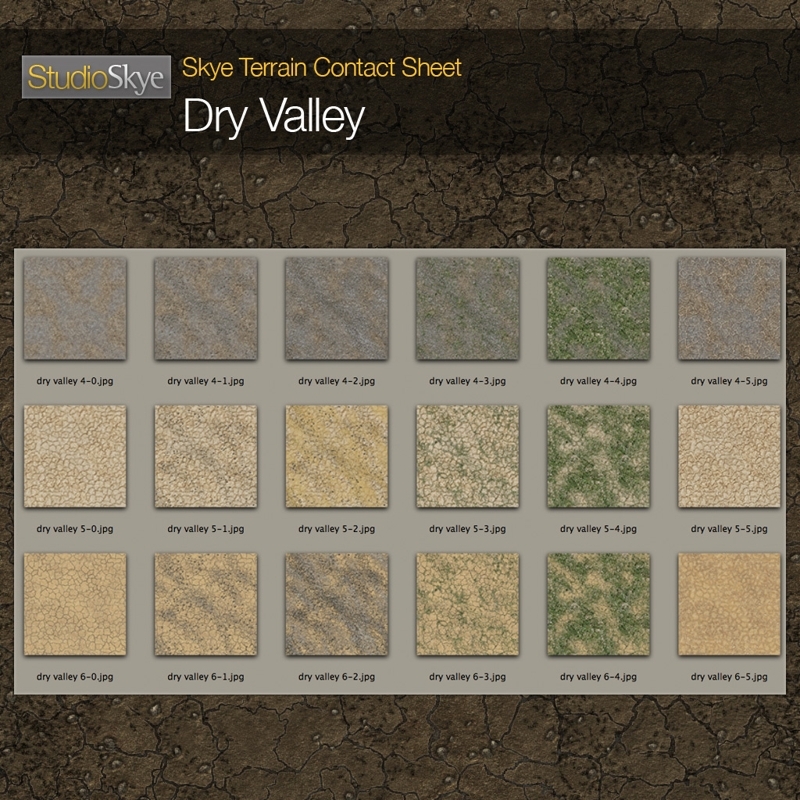 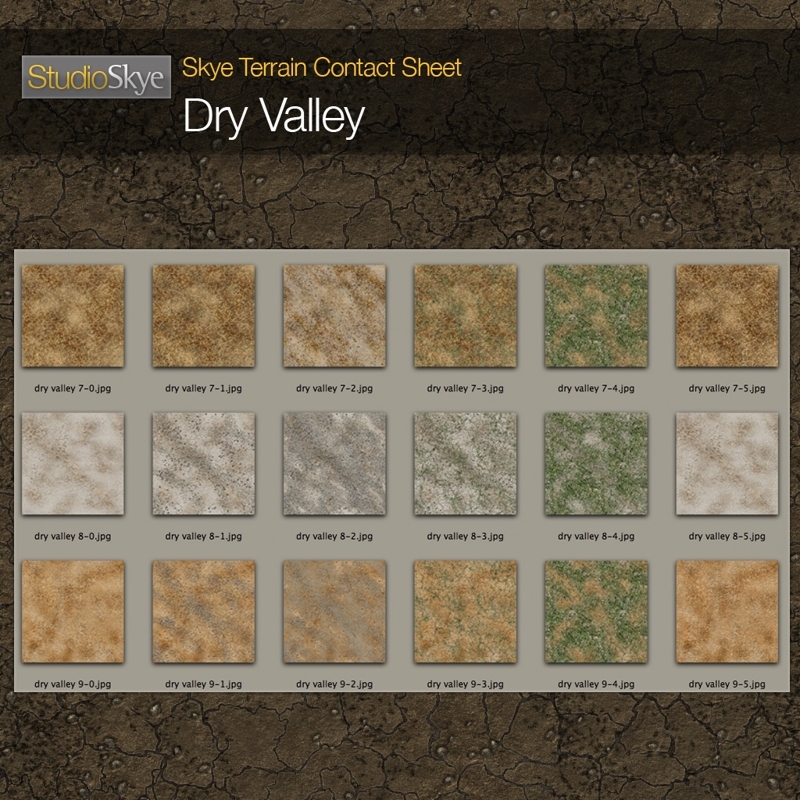 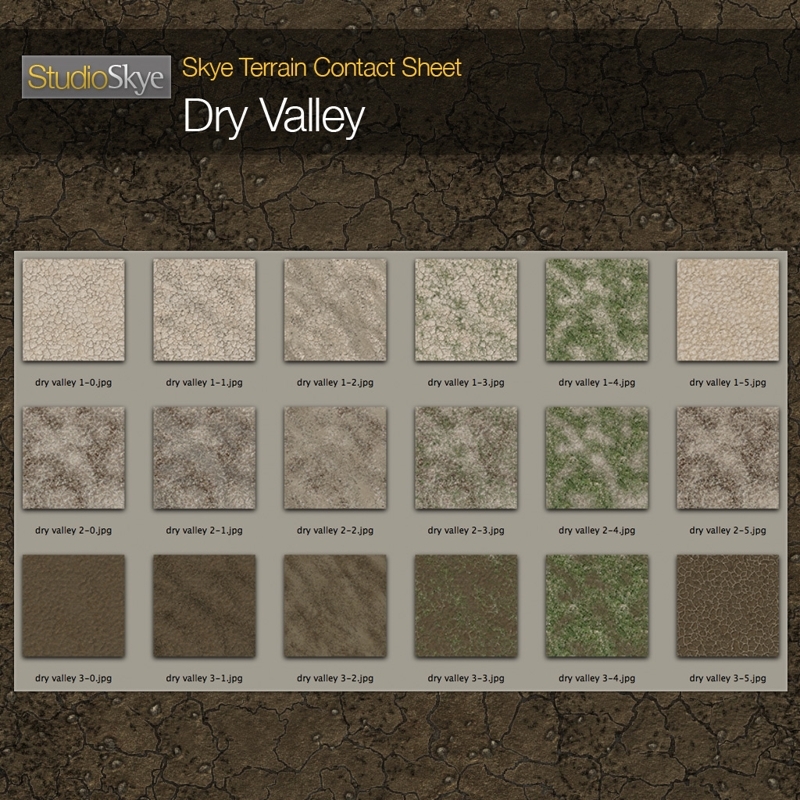 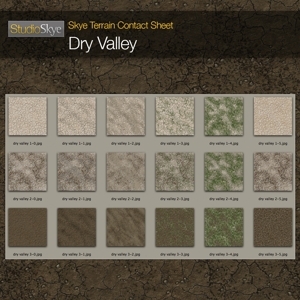 This set would be perfect for any desert, dry river, post-apocolyptic or urban grunge project.